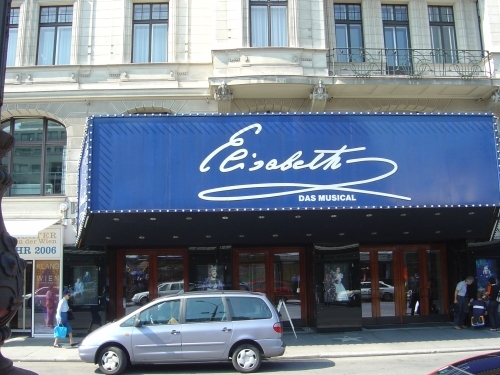 The “Theater an der Wien” is a traditional theatre on the left side of Vienna in the 6th area which is called “Mariahilf”. 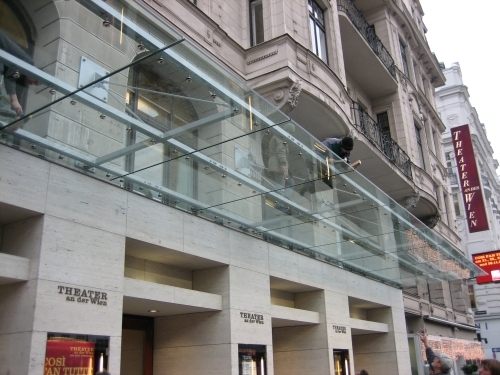 The old projecting roof of the theatre was renewed by a new glass roof with a width of approx. 3,30 m and a length of approx 19 m. First time the architect wanted to make acrylic glass modules on the unterneath of the glass roof. These approx. 2000 arylic glass staffs should be stuck together among themselves and be installed at the lower surface of the glass roof. 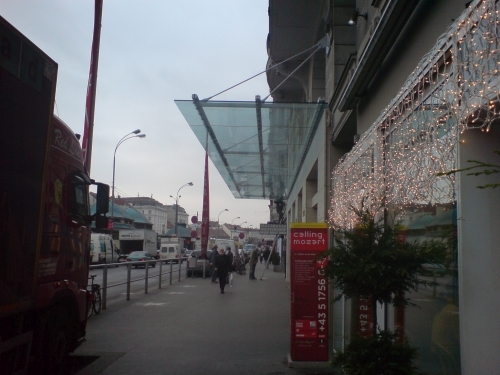 But time and costs were the reason that the acrylic glass staffs were not implemented as VSG from 2×12 mm TVG.